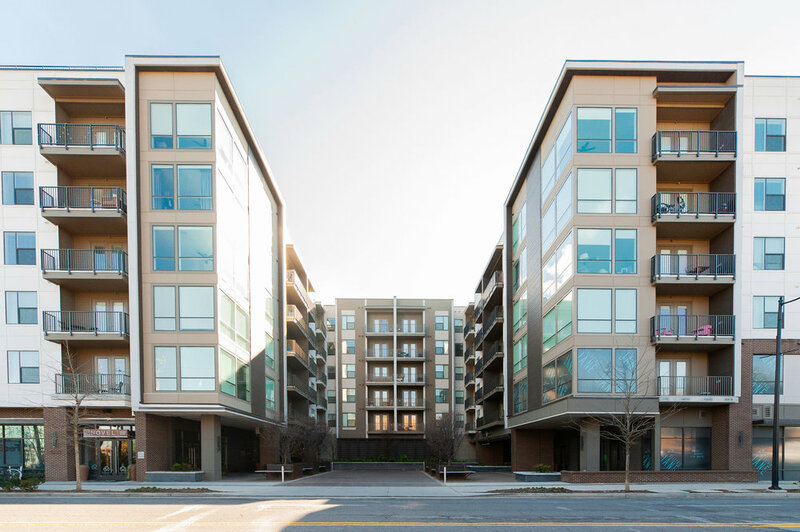 Your apartment is located within the Infinity Music Row Apartment Community. Locale’s street and parking entrance is at 1221 Division St, Nashville, TN 37203. If you’re parking, you must park in an unreserved space to avoid towing. Step 1: Locate the building's entrance. Located at 1221 Division St. (Pictured above). Step 2: Enter your access code on the touchscreen. Press “Door Pin”. Enter in your room number and the door code, which is emailed to you in your arrival instructions. Step 3: Proceed to elevator. Walk in, pass the mailboxes and the elevator will be to the right. Ride to PH level. Once you step off the elevator take a right and walk to the end of the hall to find your unit. Use the access fob for amenities (pool, gym), the garage, and building entrances. To lock the door when exiting, press Schlage on the same keypad. 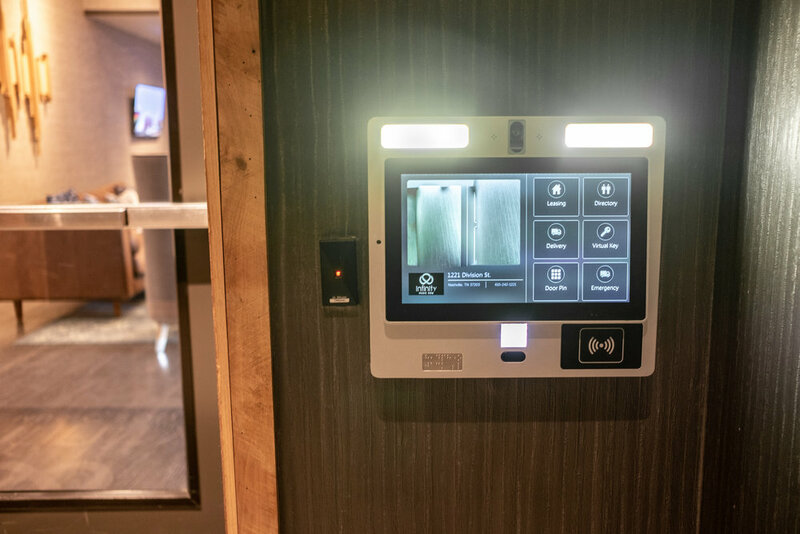 Touchscreen to enter building entrance. Parking at the Music Row Infinity is secured, so it takes a few extra steps to check-in. Step 1: Locate the building's resident parking garage. Step 2: Enter the resident’s parking garage and turn left. Park in future resident spaces temporarily and proceed to collect fob and parking pass from unit via below steps. Step 3: Enter the building to the left of the secure garage gates. Step 4: Enter your access code on the touchscreen. Step 5: Proceed to elevator 3. The elevator is straight ahead once you have entered the building. Ride to PH level. Once you step off the elevator take a right and walk to the end of the hall to find your unit. Step 6: Proceed to your apartment. Step 7: Retrieve clicker and return to car. Enter resident garage with clicker and park in any unreserved space near elevator 3. You will find elevator 3 next to Reserved Parking space 25. Parking in any reserved spot will result in your car being towed (at your expense). If you have any issues parking, call our reservations team immediately at at 512-580-7606 for other assistance. We don’t want you to be towed! Entrance from garage into building. Use your clicker to access parking through this gate.